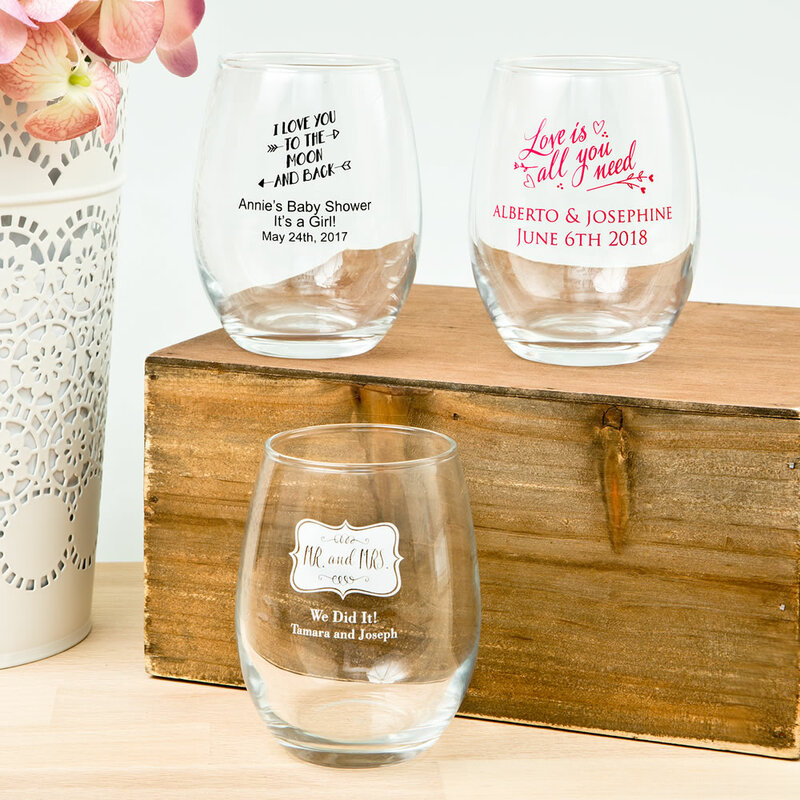 Filled with beautiful sentiments and love, the toast is one of a special day’s most special moments. 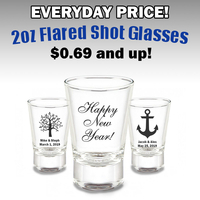 And, with these personalized glasses, you have the opportunity to put your own mark on the memories. 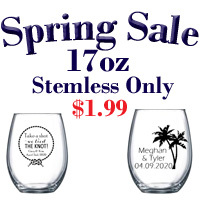 From Fashioncraft’s Silkscreened Glassware Collection, each measures 3 ¾” x 2 ½” wide, with a 9 ounce capacity, in the hot new stemless wine glass design – great for not tipping over or breaking the stem! These glasses also work well for use as a unique dessert glass. 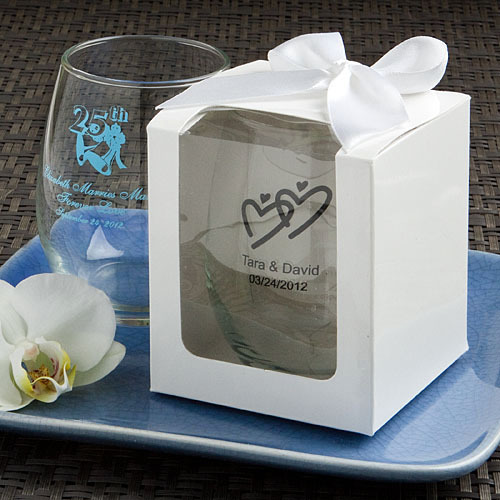 Made in the USA, each is made of clear glass and they’re perfectly fitted to be silk screened with amazing accuracy directly on the glass in a wide variety of all occasion themes, designs, colors and titles that match your theme and your personal preferences. 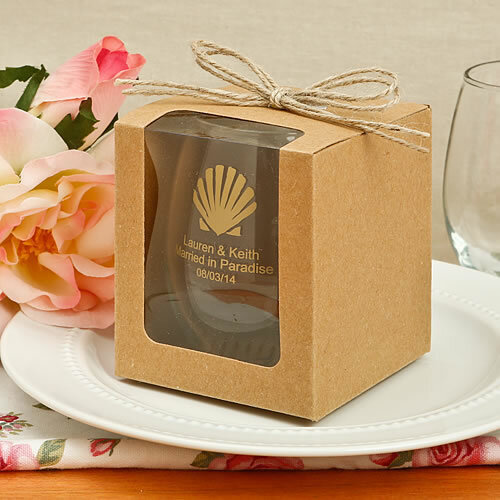 Sure to be a hit, these wine glass favors come bulk packed. Please allow 3 weeks for silk screening and processing. 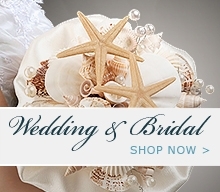 Have your own custom design click here. The price for the item is the same, regardless of which design you choose. 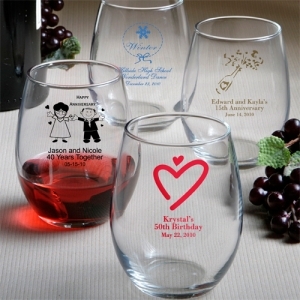 Every design can be customized with the names and date for your customer's affair. Sorry, exact color matches are not possible. Set-Up Charge: $45 Production time approx 3 weeks plus delivery.